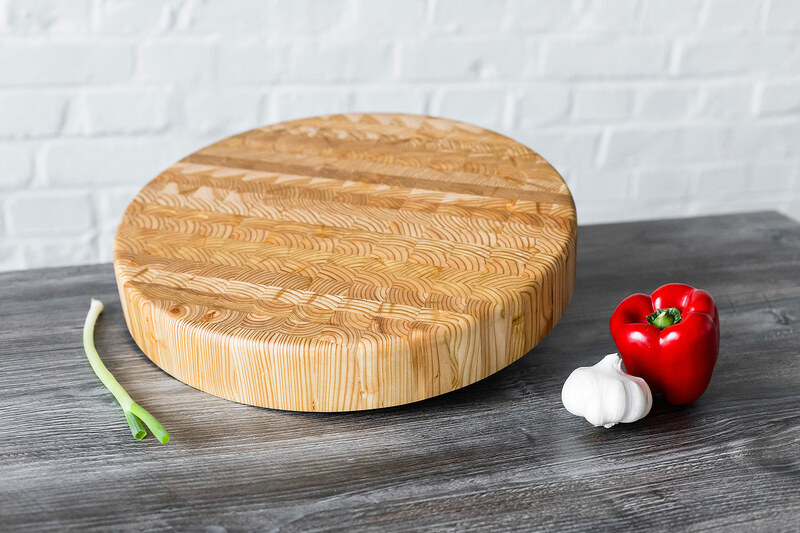 This impressive chopping block with its generous sized cutting surface and breathtaking swirling wood grain patterns will be a welcomed addition to any commercial or home kitchen. 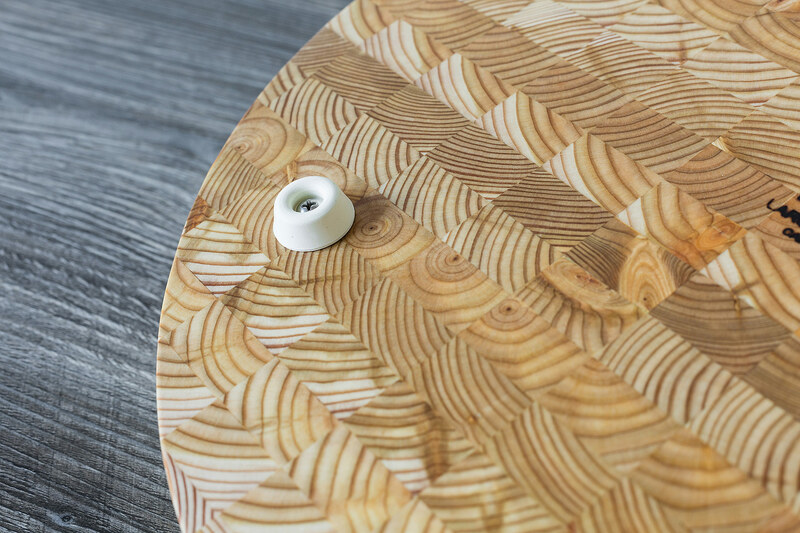 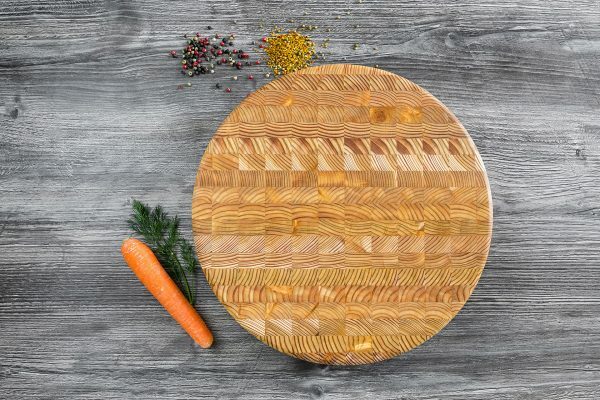 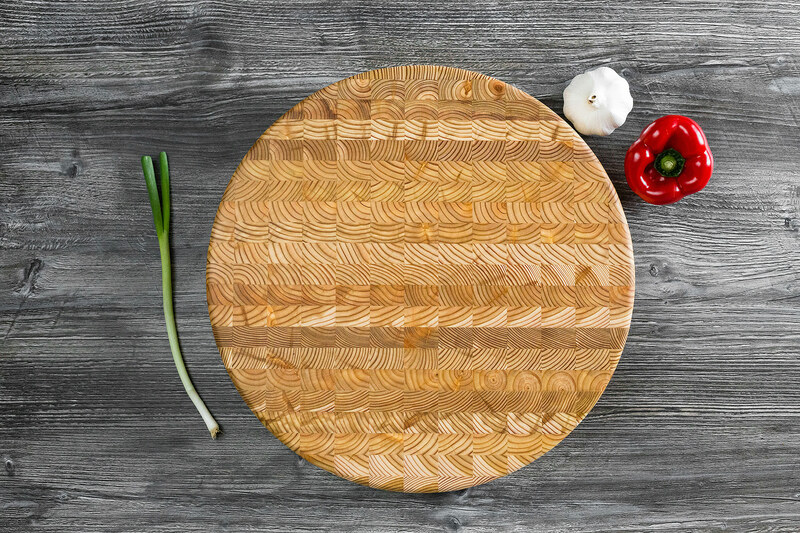 This elegant round chef’s block is assembled with kiln dried end grain larch wood blocks, hand picked and arranged by one of our in-house wood artisans. 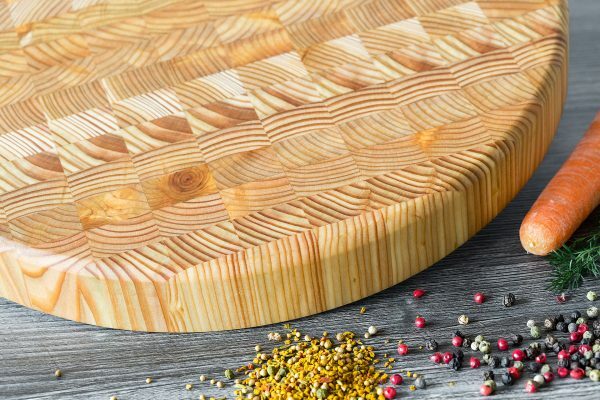 Larch wood is valued for being durable, waterproof and having bacteria resistant properties. 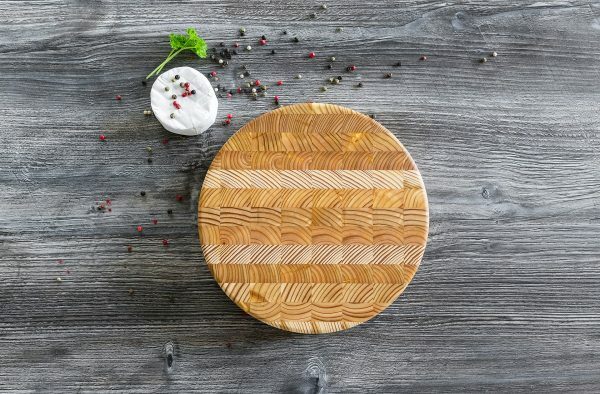 All our wood has been kiln dried to provide an exceptional surface finish and minimise warping, making our boards as sturdy as they are beautiful. 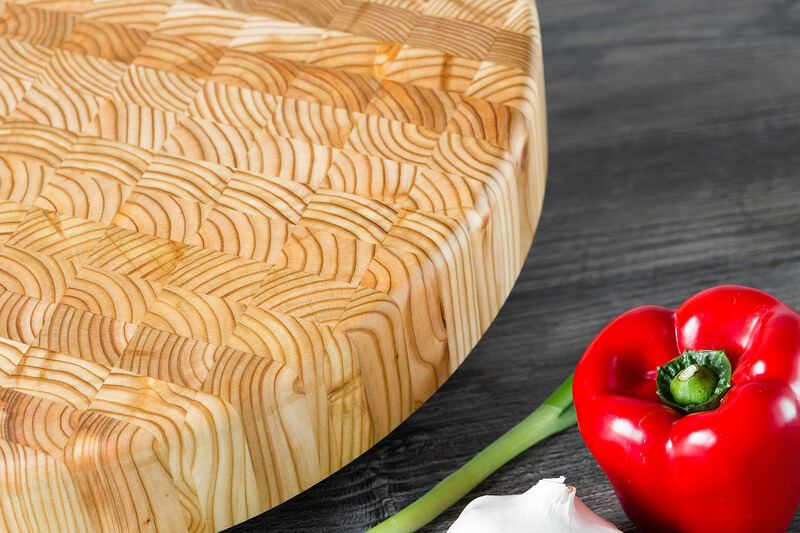 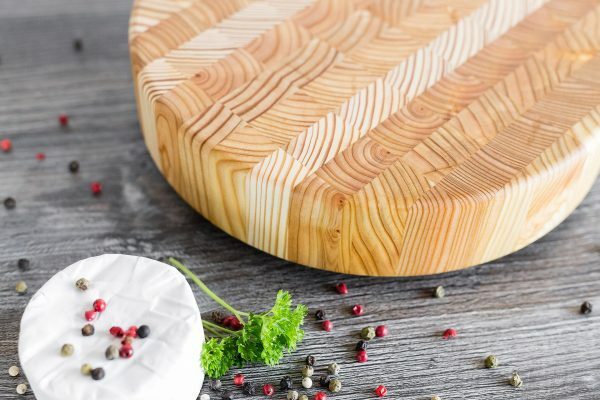 The Larch Wood Round Chef’s Block with its generous size makes a perfect, knife friendly, work surface for chopping, slicing & dicing, as well as making a buffet statement for presenting and serving breads, cheeses or canapés. 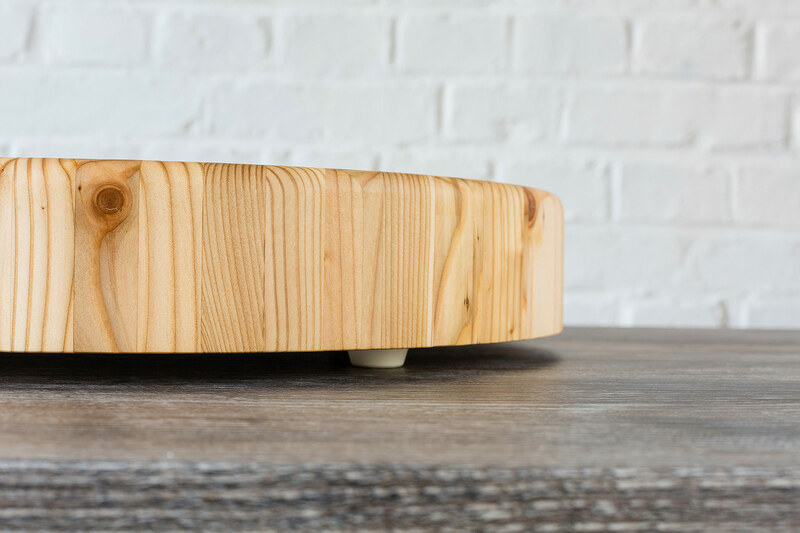 The chef’s chopping block also has our soft rubber feet attached with stainless steel screws giving the board a wonderful haptic feel when cutting, stops moisture from collecting beneath the block and makes the board very easy to take hold of and move around the kitchen.